The Email Service Provider (ESP) landscape continues to evolve, and the competition is as intense as ever to reach and engage target audiences. ESPs using more data points to personalize communications to drive end-user engagement will be among those that differentiate themselves in the marketplace. PostUp, the leader in end-to-end email marketing technology, has 20 years’ experience helping publishers and media companies grow audiences and send amazing―and effective―emails. An ESP with an award-winning platform, a proven services team and handpicked partners, PostUp delivers personalized communications that drive engagement and increase revenues. According to Keith Sibson, PostUp’s vice president, product & marketing, the email marketing solutions provider is laser focused on innovating around the needs of its clients. Geolocation data is among the different types of information that PostUp uses within its email marketing platform to help clients better communicate with their customers. When the company first started incorporating geolocation data into its platform, it had relied on open-source databases. However, according to Sibson, it was hard to prove the accuracy of that data. “There just seemed to be a lot of old and/or missing information,” he said. Because the company stakes its reputation on the strength of its email marketing platform, PostUp wanted to find the most accurate geolocation data available. As a result, PostUp made the decision to incorporate Digital Element’s IP geolocation data into its platform. For more than two years, PostUp has been utilizing Digital Element’s NetAcuity Edge™ hyperlocal geolocation solution to noninvasively determine end users’ geographic locations down to a ZIP and postcode level, worldwide. NetAcuity Edge revolutionized the IP geolocation space by providing the only validated partner-contributed geographic postcode-level data on the market. According to Sibson, implementation was very easy. With Digital Element’s geolocation data built into the PostUp email marketing platform, the company can automatically detect location without having to ask end users. This allows PostUp to more effectively segment and target audiences; help build direct audience relationships; and optimize email delivery and monetization for clients’ email campaigns. The addition of Digital Element’s hyperlocal IP data has enabled PostUp to more accurately deliver clients’ email campaigns. 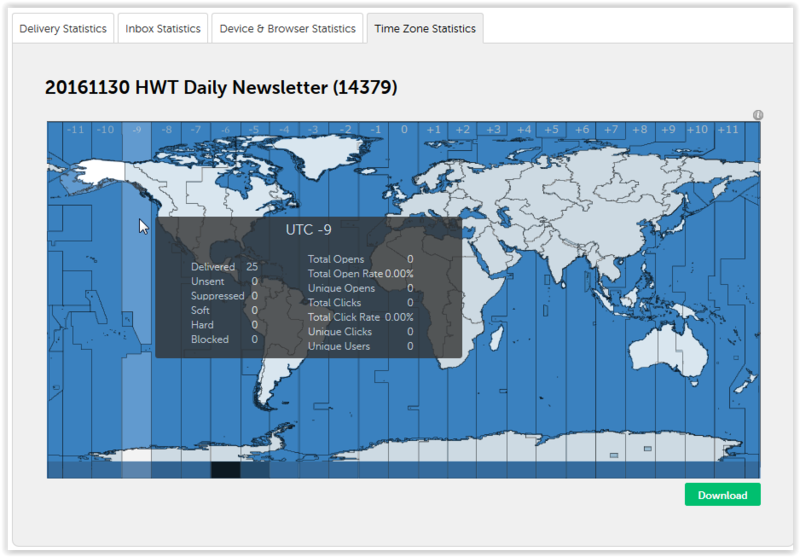 For example, PostUp utilizes geolocation data when setting up an email deployment. 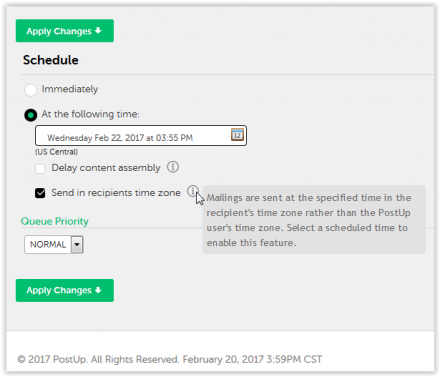 By simply checking the box for “Send in Recipient’s Time Zone,” the system uses the location data gathered on the recipients and deploys the message to them at the scheduled time in their time zone. PostUp is also able to generate a Time-Zone Targeting Report that shows stats for each time zone, such as number of emails delivered, open rate, click rates and unique users.